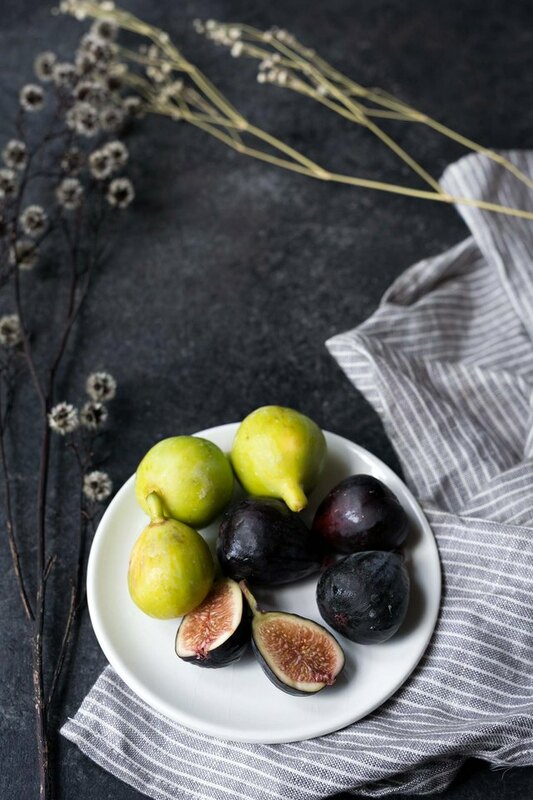 While dried figs are more commonly featured in recipes, fresh figs are an absolute treat. Do not pass them up when you spot these beautiful gems in the produce aisle! They can be enjoyed on their own (try scattering them around a cheese platter), but they also pair beautifully with a wide variety of sweet and savory dishes. 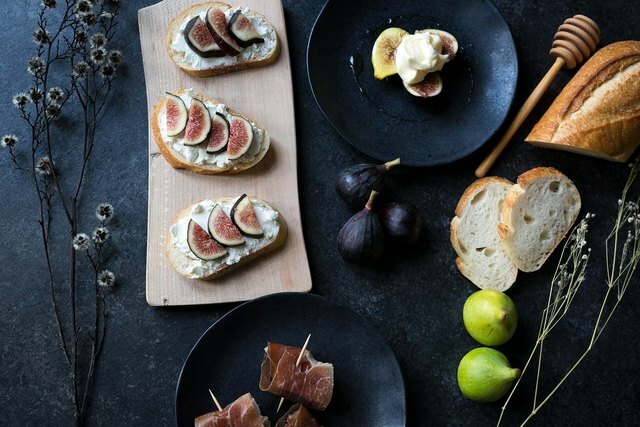 From homemade compotes to savory small plates, here are some wonderful ways to eat fresh figs. Fresh figs are extremely perishable. It's best to use them within 1 to 2 days of purchase. Look for figs that are slightly soft but not mushy, and that have no visible signs of bruising. Store in the refrigerator and then wash and pat dry before using. 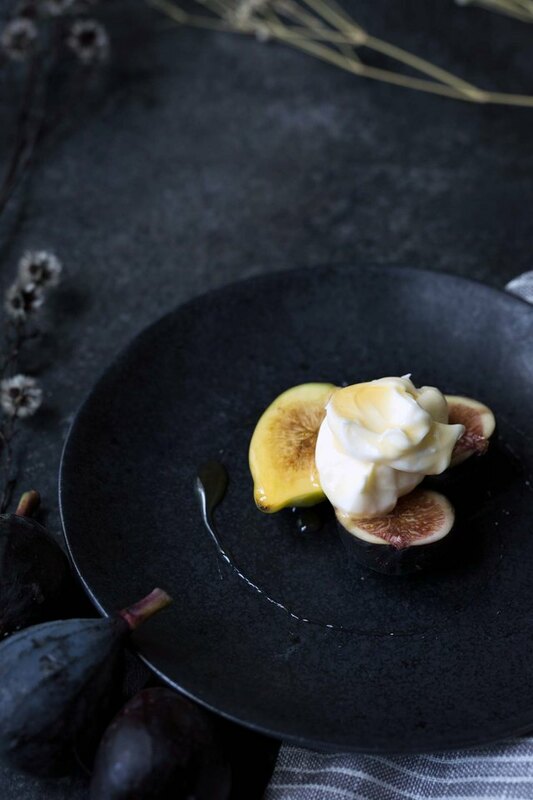 Figs with mascarpone and honey are an easy, delicious dessert that can be prepared in no time. Slice the figs in half lengthwise and top with a small dollop of mascarpone cheese. Drizzle with honey and serve. This light dessert is an especially nice option after a heavier meal. 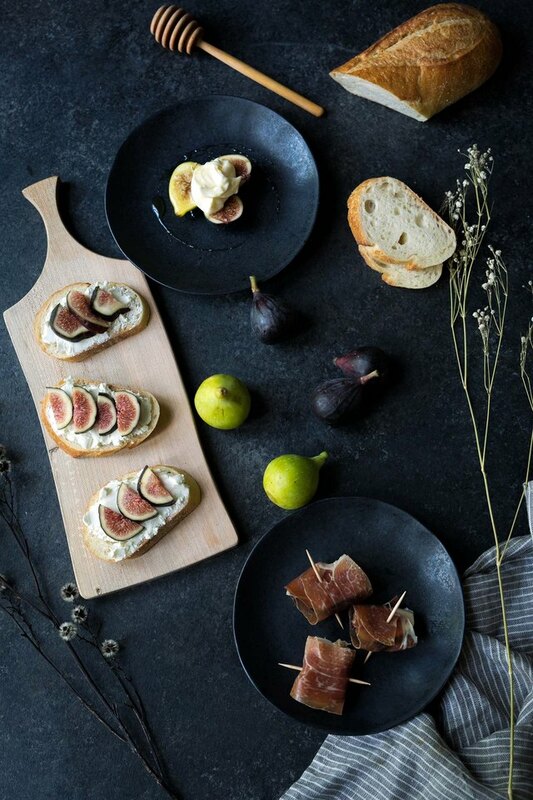 If you're having guests over, prosciutto-wrapped figs are an amazing party appetizer. 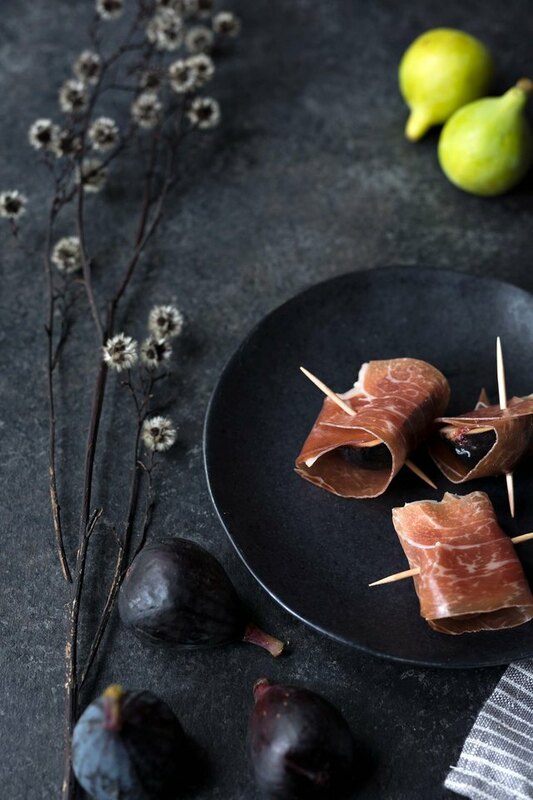 Simply slice the figs in half (remove the stem), wrap with good quality prosciutto, and secure with a toothpick. This would also work with bacon. 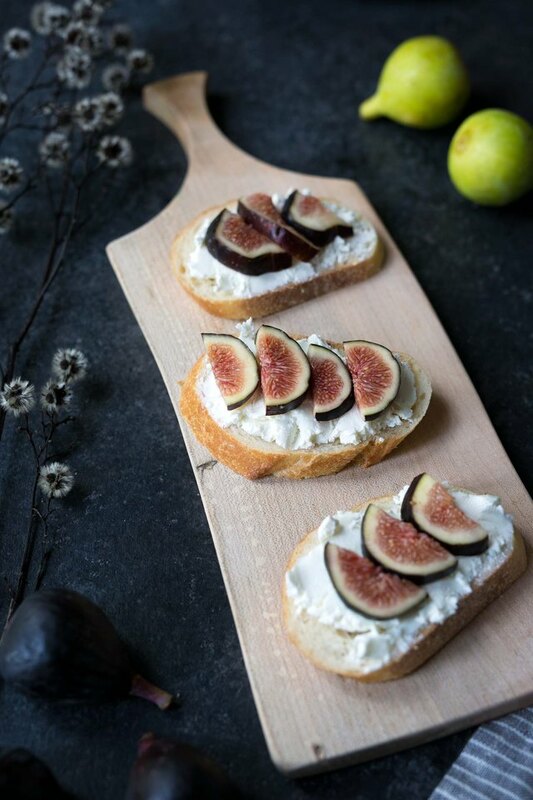 Another incredibly simple party appetizer is crostini with goat cheese and sliced figs. Three ingredients, minimal prep work involved, and delicious results. Preheat an oven to 350 degrees Fahrenheit, slice a baguette thinly on the bias and toast for 5 to 7 minutes, then allow to cool. Spread a generous layer of goat cheese onto each slice, and top with the figs. You could optionally drizzle a bit of balsamic reduction on top for added decadence.